As Celebrity Apprentice continues, it seems that more and more Internet sites are presenting their reviews an opinions about the show. As I am writing this, it has only been 24 hours since the program was over. 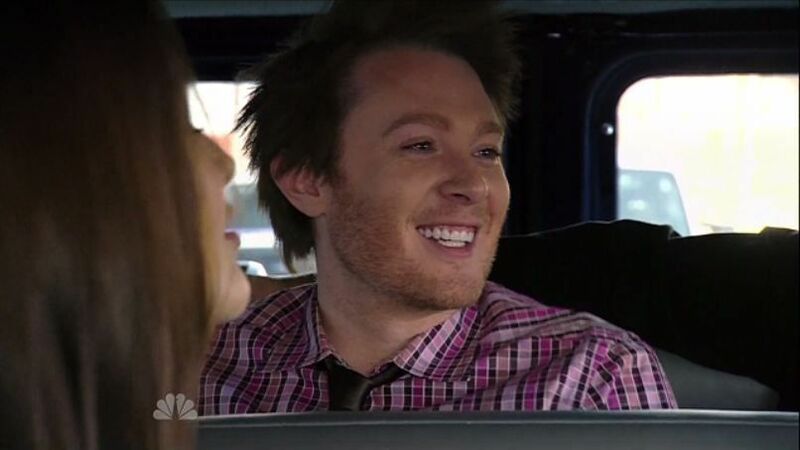 I have listed 17 articles about Clay Aiken and Celebrity Apprentice. There are probably at least 20 more that mention Clay but are short and mostly quote the articles I have mentioned. I am sure there will be more published during the week. I do hope that you are visiting these sites and when you can, comments always make the site feel good. OK…….the following articles are some of my favorites. …Lisa comes through the door pumping her fist like a football player who scored the winning touchdown rather than like a person who was in danger of going home after losing her fifth task in a row. Clay questions the glee, as Lou is still a person, but Lisa tears him a new one because that is what Lisa does, pretty much, for a living. Then Aubrey talks trash about Clay in a confessional, because that is pretty much what she does as her only really consistent gameplay tactic. …In the Forte car, the world finds out something that we never knew. Clay knows how to use puppets. He used to use them in church. Clay tells the camera that he’s not sure how the folks at Forte operate, and he hopes they will all get along. So, of course, that’s the cue that a fight is about to break out. …It’s rehearsal time at Forte, and Clay and Lisa begin really working with their puppets. Penn has a stunned revelation. Clay is good at this. Clay is REALLY good at this. His squeaky voices and clever connections stay completely up to speed with Ms . Twenty Years in the Business. …So, how did all this fighting affect the performance? Forte killed it. Penn led the festivities with infectious energy. The first skit was about having the puppets discuss an activity one could do in a foreign country. The result was Bjork ice-fishing in Iceland and Clay, who had the more difficult task of being the lucid one in the skit, was… wonderful. That’s not just my Claymate heart talking. That’s the concensus all over the internet. If he ever decided he just can’t get any decent original songs for his albums, he could join an improv troupe and be just wonderful at it. Reality Blurred – Clay Aiken Finds His True Calling As An Improv Puppeteer After Lisa Makes Dayana Cry. 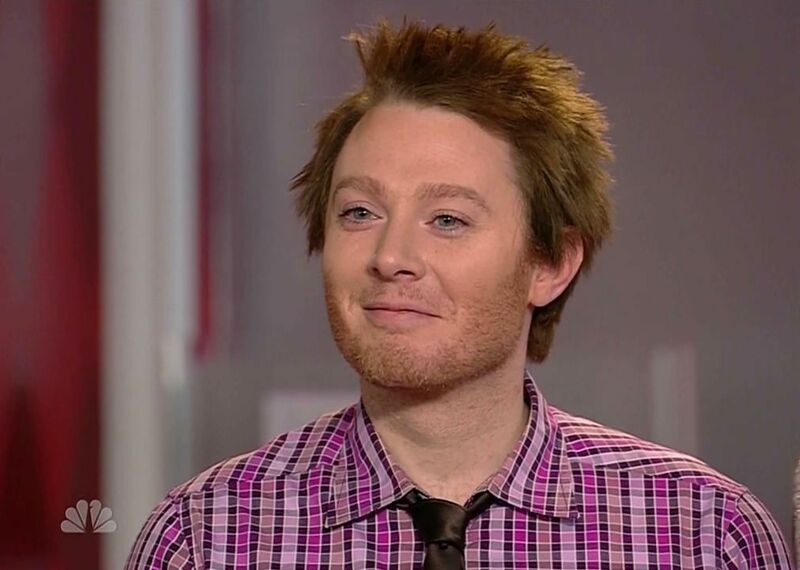 … Clay Aiken surprisingly, offered a sexist read of these events that rivaled the kind of stuff Donald Trump would say; Clay wrote off Lisa’s anger by suggesting it was because Dayana was more attractive (“screw beautiful—stunning”) than Lisa. Please. You have to give Aiken credit for not only being a puppet master, but for knowing exactly when to weasel and when to wait for others to do the weaseling. That’s one smart weasel! While the former runner-up in American Idol remains the favorite, his odds stay at 3-1 because his strongest competitors are still around. – WAIT for manic/depressive Lampanelli to… a) Have a stroke; b) Get strangled by Mendoza; c) Get put into intensive care after Lou Ferrigno returns with ‘roid-rage and follows through on his previous threat to throw Large Lisa “through a wall;” d) All of the above. – WAIT for Penn to go over the limit for Celebrity Apprentice Personal Days Off, miss his third show (you figure that bus will eventually pull up), and get let go by The Donald. – SLYLY PROVOKE Aubrey (shouldn’t take much) into calling him any one of a dozen gay slurs (her choice) and forcing her termination. – WISELY CONCLUDE that the remaining others are no match for his vastly superior weasel skills. Weasel??? No…But I am glad they see that Clay is talented!! Television Blend – Celebrity Apprentice Power Rankings: Why Is Clay Aiken So Good With Puppets? The Celebrity Apprentice Power Rankings are an ordered compilation of weekly lists put together by TV Blend writers Jessica Grabert and Mack Rawden. Each week after viewing the episode, they each rank the competitors in order. Seventeen points are given for a first place vote, and this week, eleven were given for a last place vote. Eleven competitors have already been eliminated; therefore, those people automatically occupy the bottom slots. Here is how this week’s voting panned out, complete with analysis on how the celebrities might fare moving forward. #1) Clay Aiken (34): If you didn’t watch this week’s episode, find it immediately, if for no other reason than to watch Clay manipulate puppets. I couldn’t even believe some of the sounds coming out of his mouth. If the whole singing thing doesn’t work out, he could easily have a second career in voice acting. Every character he played had a different tone of voice, and some of his off-the-cuff lines were brilliant. I can’t say enough positive things about the American Idol contestant this week. Thank you to cindilu2 at CV for the screen-caps that she worked with…great pictures!! Don’t forget to click on the pictures to see them in the original size. Are you surprised that Clay is getting so many positive reviews about his Improv/Puppet work? Are you still upset with Aubrey for her “gay bullying” of Clay? Do you think GLSEN is aware of what Aubrey is saying? Thanks for all your support…I always love to hear from you! I am a lot more than thankful for you for collecting all these articles in one place. Being a foreign fan it's always harder to search for news, articles, videos. And unfortunately the videos can't be played for some broadcasting law thing a lot of times. begin to guess what people and groups are aware of – there are many strange people out there who should be aware but aren’t. Wow, that Clay is so talented and smart and funny, and very considerate of everyone's feelings, no wonder I love him, he's truly a great person. Thank you again for your posts, they're great! Enjoy reading the newsletter every morning. Thanks again CANN!!! You ladies are awesome as usual! Musicfan, I never watch the show until Monday nights, and I always can't wait to get to your blog after to see what you have written. It's so hard for me to not check it at work that day, but I don't want any spoilers! You always bring the best to this site. Thank you so much. Of course it is NO surprise Clay did so well — when they were in the van I wanted to be like "YES, he has experience being awesome." And you'd better believe it! And in regard to Sunday's blog: Simon, we all prefer Clay with both eyes wide open, binoculars, and a video camera so we can see "that thing he does with his face" again and again! Take care, everyone. It's fun to be with you. I am so glad that you post the links to all the press regarding Clay on TCA. It is so delightful to read all the positive remarks regarding Clay and the creative /artistic/humourous talents that he has. I am glad that the general public is getting to see the Clay we see in each and every concert while enjoying his beautiful voice. Go Clay! Thanks for the roundup on some of the articles about Clay. It's certainly fun that he is so newsworthy. Something we all know!! It is so much fun to read all the wonderful reviews of Clay Aiken. He is so talented. I hope this leads to other opportunities for him! Thank you so much for all the links to the great sites. My online time is limited and it really helps! Yes…I love seeing Clay praised. Others are seeing what we already knew! NOW………What can we do to get Aubrey to stop with the nasty, gay bullying? Gah he rocked this week!! Thanks for the screencaps..
Error: Error validating access token: Session has expired on Tuesday, 21-Aug-18 16:13:01 PDT. The current time is Thursday, 25-Apr-19 07:45:27 PDT.